The Rochester Institute of Technology is located in Rochester, NY (aptly named). As far as snow goes, Rochester is no Syracuse…but you should get ready for an impressive amount of the white stuff. That being said, cities like Rochester that get a ton of snow every year really know how to clear it. Don’t expect any snow days. Or even any class delays (you’re supposed to be looking forward to learning, anyway—aren’t you?!). Think of all the snow and freezing winter temperatures as additional incentive to finish that new game—then you’ll really be capitalizing on your time in the third snowiest city in the US. Enough snow talk, let’s look at what the Rochester Institute of Technology has to offer students like you. The Bachelor of Science in Game Design and Development at RIT “allows students to explore the entertainment technology landscape and related areas, while still pursuing a broad-based university education. 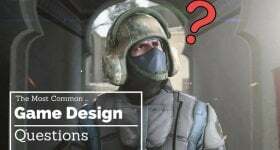 One of the biggest arguments you’ll see against getting a degree in game design is the pigeon-holing effect. If you only learn game design, you’ll be trapped in the game industry and won’t be able to shift laterally into a different industry. RIT puts this to rest somewhat, mentioning peripheral video game industries like simulation and edutainment. If you decide making games isn’t for you, you have your computing skills to fall back on. Not every game design program offers that kind of versatility, but having those plan B skills can make all the difference. 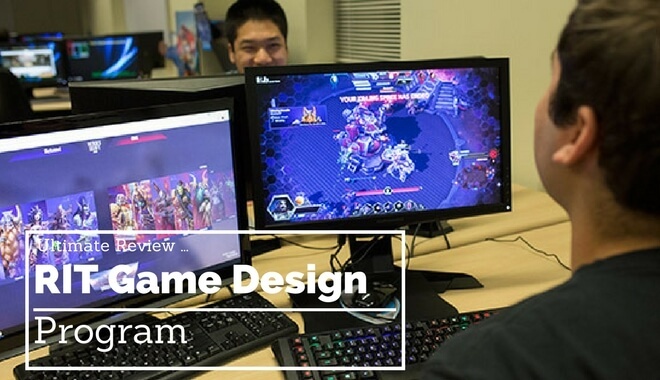 The Game Design program at RIT offers some flexibility in your advanced studies. Talk about a differentiator. While other game dev programs might churn out a few hundred students every year with the same generic, academic portfolio, RIT forces you to take on two blocks of cooperative education. You’ll be graduating with two blocks of actual, paid industry experience. If you combine that industry experience with a stacked portfolio, you’ll be in a great position to find and land a job you want. RIT has the “typical course sequence” for the Game Design and Development program right on their website. And a few other topics, as well. That’s a pretty well-rounded first year. Not many schools offer wellness education as a mandatory year one program, but it’s hard to argue with staying healthy. Courses like 2D Animation, Maths, and Algorithmic Problem Solving should give you a good sense of what to expect on your educational journey. You can use those classes as your guide in deciding if you’ve made the right academic choice after all. If it’s not a good fit, you can duck out early. If it is a good fit, you can dive in head first. After your second year, you’re free to pursue your co-op. Starting the summer after your sophomore year, you’re eligible for finding that full-time, paid position. You’ll notice RIT includes a Co-op Preparation Workshop—it’s not worth any academic credits, but at least you won’t be flying in blind. You’ll also notice your second year expands on some topics, like mathematics and animation, and pulls in new concepts, like website design. And the rest of what you study is pretty much up to you… You’ll have “free” elective credits and “advanced” elective credits. The advanced elective credits are based around the game design and development major. That is your opportunity to go deep on whatever interests you. And more—there’s a lot to choose from, here. Typically your advisors will know the best courses for you to take based on your interests or how you want to specialize. Still, there are plenty of subjects here to get those creative juices flowing and those possibilities growing. Your fourth year is pretty much all electives. When it’s all said and done, you’ll end up graduating with 124 credit hours (which doesn’t include the hours you spend on your co-op). There is a hybrid program that lets you earn your Game Design and Development BS/MS degree in one fell swoop. And there’s still room for electives on top of that. The Masters degree in game design at RIT is a two-year program that really dials in on game design and development. The fourth-year courses you focus on in the hybrid degree? Those become the first year courses for the Masters program. The second-year revolves around the capstone project. 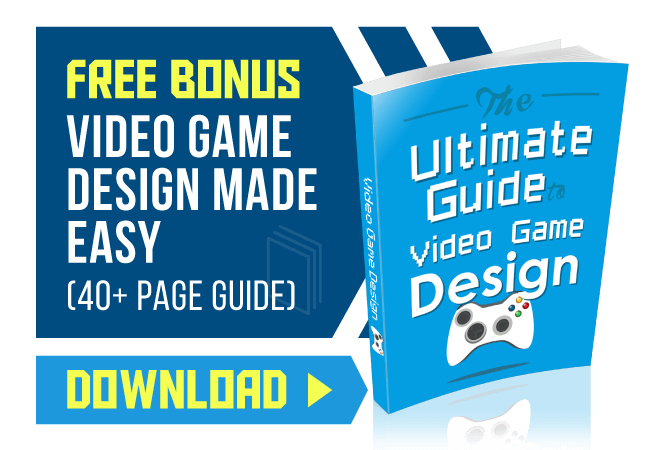 Is the Game Design and Development Program for You? For this, we turn to Reddit. Redditor emmiltee pulls us into their experience, saying “my experience as a gdd major and what I’ve heard from other upperclassmen is that the amount of people nation-wide trying to get jobs in the video game industry vastly overshadows the available jobs. Once you get here, you have to build a stellar portfolio and network the heck out of professors and campus fairs to get ahead, and only 10% of graduates will find work in a game-related field. So, there you have it. RIT won’t be an easy ride. You’ll need to work hard to stand out, not only while you’re there, but after you graduate, too. But, if you’re ready to buckle up and put the time in, RIT can help get you where you’re trying to go.